A US study by Cowen & Co has found that Netflix is now the most popular platform amongst US consumers for watching TV, ahead of pay TV and free-to-air broadcast channels and other streaming services. According to the study of 2,500 US adults, 27.2% said they used Netflix most often to view video content, ahead of basic cable, cited by 20.4% and broadcast TV, cited by 18.1%. 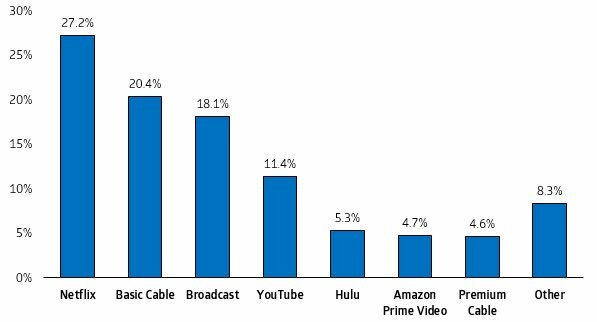 YouTube was cited by 11.4% of respondents, with Hulu some way behind on 5.3% and Amazon Prime Video on 4.7%. Only 4.6% of respondents said they view content most often on premium cable services. The findings were even more pronounced among the younger demographic. Among 18-34 year-olds, 39.7% used Netflix most often to view video content, ahead of YouTube on 17%, basic cable on 12.6%, Hulu on 7.6% and broadcast TV on 7.5%. Only 3.4% of 18-34 year-olds reported using amazon Prime Video most often to view video, with 3.5% using premium cable services most often. Separately, Netflix has begun trialling a new tier called Netflix Ultra across Europe for some members, giving the option to pay a higher fee of up to €19.99 than the current premium service for features including 4K UHD streams. The subscription video-on-demand provider is in some cases reportedly only making 4K streams available via Ultra, and restricting the option to use the service on up to four devices to this tier. In other cases, Ultra is being offered while leaving other plans unchanged. The tests, which were initially reported in Italy, appear not to have been introduced to the UK market as of yet, but to be restricted to the Eurozone. Local reports have cited a Netflix spokesman as saying that the company continuously tests new variants to better understand how people value the SVOD service. 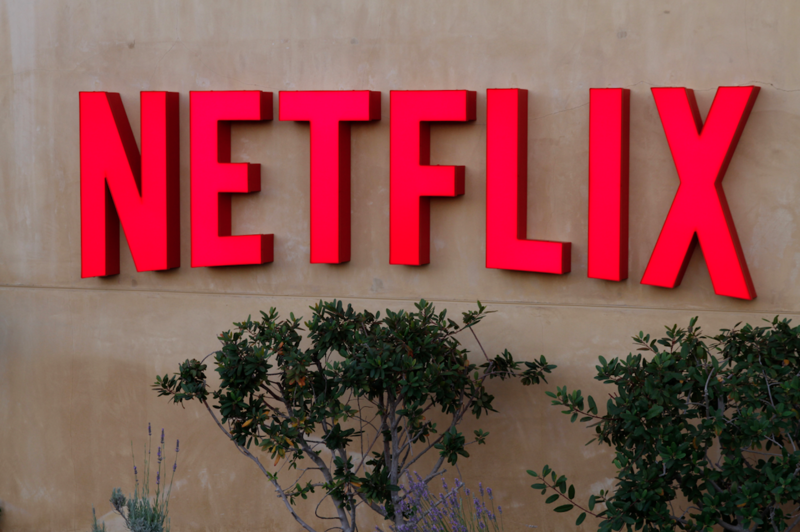 Netflix currently offers basic, standard and premium tiers with different features. The premium tier enables users to stream on up to four devices.